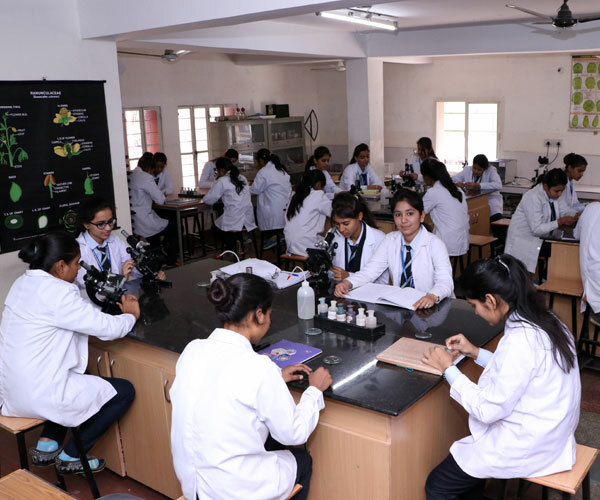 The college has seven well-equipped and state-of-the-art laboratories to enable students in carrying out a wide range of practical and research investigation of scientific theory in Physics, Chemistry, Botany and Zoology, as well as in Mathematics and Psychology. Well qualified and experienced staff is on hand to guide the students to explore the world of Science through meticulously planned practical classes. All laboratories have the latest instruments and are upgraded annually with the latest equipment, apparatus and safety gadgets. The college also maintains a well-developed botanical garden to cater to the needs of the students of Botany.